Kevin Welstead, sector director EV at SSE Enterprise, said more impetus is needed to encourage quicker take up of EV charging points across London, adding that although both the Government and London mayor Sadiq Khan had ‘rightly’ backed the policy, ‘this message has not seeped all the way through’. ‘So far we have installed 762 charging points across London for the Source London network, which when you consider we started this project in May 2015 with an ambition of putting in 6,000, shows that progress has not been rapid,' he said. London Councils, which represents the capital’s boroughs, suggested that it was unfair to criticise them over a target it had not been involved in setting and pointed out that council transport and planning teams were under ‘immense pressure' following funding cuts. 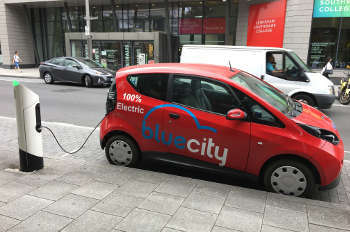 Cllr Julian Bell, chair of its Transport and Environment Committee, said: ‘London boroughs are committed to supporting environmentally-friendly transport and are leading the way in delivering an effective network of electric vehicle charging points across the capital. Boroughs are set to install more than 1,000 charging points across London by 2020.